The Cullinan 1 was the first full cut gem created from the larger rough stone and was christened “The Great Star of Africa”. 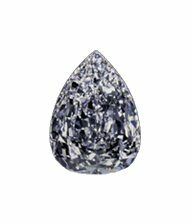 The Diamond is a Pear shaped stone weighing in at 530.2 carats.The Great Star is set into the head of the British Sceptre as part of the British Crown Jewels. 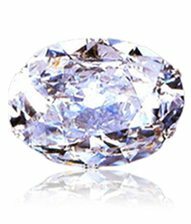 The second diamond to come from the large rough stone is named the Second Star of Africa and is a rectangular cushion cut gem of 317.4 carats and is set in the front of the circlet portion of the British Imperial State Crown. Together Cullinan 3 & 4 are known as “The Lesser Stars of Africa”. Cullinan 3 is a 94.4 carat pear shaped diamond that was originally set in the coronation crown made for Queen Mary, consort of King George the 5th. Cullinan 4 is a square cushion cut diamond of 63.6 carats and was also originally part of Queen Mary’s coronation crown. The diamonds can also be worn together as a brooch, Queen Elizabeth 2nd does so from time to time and refers to the diamonds as “Granny’s Chips”. Cullinan 5 is much smaller than the first 4 diamonds but still quite large at 18.8 carats. The stone is heart shaped and set in the centre of a brooch with smaller stones surrounding it. Cullinan 6 is smaller again at 8.8 carats, it is a Marquise cut diamond that hangs from a brooch that also contains the Cullinan 8 and is also part of the British Crown Jewels. Cullinan 7 is also Marquise cut like Cullinan 6 but is larger at 11.5 carats. It is set as a pendant that hangs from from the diamond and emerald Delhi Durbar Necklace. Cullinan 8 is a 6.8 carat cushion shape diamond that is set in a brooch that Queen Elizabeth inherited in 1953. Finally, Culinan 9 is a 4.4 carat pear shaped diamond that is set in a platinum ring. 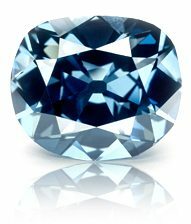 Perfect blue diamonds are exceedingly rare as most have imperfections like a white side or black and/or grey undertones, their blue colour comes from the presence of Boron in the crystal structure of the diamond. 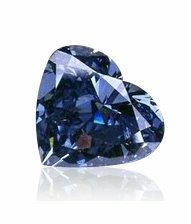 The Heart of Eternity is one of the most well known perfectly blue diamonds and is one of the 10 most valuable blue diamonds ever sold. Discovered in South Africa’s Premier mine sometime in the 1990’s the rough stone from which the heart of Eternity comes was approx 777 carats in weight. After careful deliberation it was decided to cut the large rough stone into 3 smaller pieces one of which being the Heart of Eternity. Total blue diamond production at the Premier mine is around 0.1% of all production which equates to finding an average of one blue diamond per year. The Heart was unveiled as part of De-Beers’ Millennium Jewels collection in 2000 at Londons Millennium Dome. The exhibition was the target of a daring jewel heist which was foiled by police. The Koh-I-Noor Diamond which is persian for “Mountain of Light” is believed to have been mined in India in the mines of Golconda during the 1300’s. According to legend the rough stone was a massive 777 carats when first discovered. First owned by the Kakatiya Dynasty of India the stone changed hands several times over the next few hundred years before finally being gifted to Queen Victoria of England by the Maharaja of Punjab when it became part of the British Empire in 1849. The diamond was eventually set into the Royal British crown along with 2800 other diamonds, the crown is worth between 10 & 12 billion! The Hope diamond is also one of the worlds most famous blue diamonds. 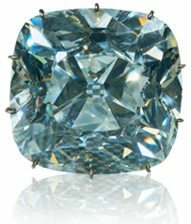 The diamond is also believed to have originated in India where it was purchased by the French diamond merchant Jean-Baptiste Tavernier in 1666 whereupon it gained the name “The Tavernier Blue”. The original rough stone is believed to have been approximately 112 to 115 carats in weight with the deep blue colour again coming from boron impurities in the crystal. Tavernier sold the original rough stone to King Louis the XIV of France along with over 1000 other diamonds. The stone was stolen in 1791 at the start of the French revolution after being passed down to King’s Louis the XV and XVI. The diamond was recut with the largest section acquiring the name “Hope” due to being in the possession of a London banking family of the same name. From their it went through several owners both in the UK and The US, most recently it was purchased by New York diamond merchant Harry Winston in 1949. Winston subsequently donated the Hope diamond to the Smithsonian Institute’s National Museum of Natural History where it has remained ever since. The Krupp Diamond was named for it’s original owners the Krupp family belonging to Vera Krupp the wife of billionaire industrialist Alfred Krupp. The diamond wasis believed to be from the Golconda region of India which was the first known source of diamonds in the world. 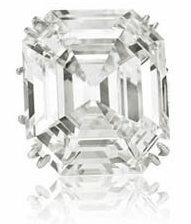 It is a white/colourless diamond 33.19 carats in weight and cut into an Asscher shape. The diamond is considered to be type IIa meaning it is among the most chemically pure and optically transparent diamonds in the world. The diamond was stolen in a famous jewel heist while it was owned by Vera Krupp in 1959 though the case was quickly solved by the FBI and the diamond returned to the Krupp family. 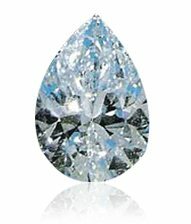 The Krupp diamond was sold at auction on the death of Vera Krupp in 1967 where it was bought by the actor Richard Burton for $307,000 who gave it to his then wife Elizabeth Taylor where the diamond became part of her fabulous diamond collection being renamed the Elizabeth Taylor diamond after her death in 2011. The Centenary diamond like so many of the famous diamonds on this list was discovered at the Premier diamond mine in South Africa. Discovered in 1985 with the help of a special x-ray imaging system the stone weighed in an astonishing 599 carats in its rough form making it the third largest diamond to come from that mine. It has a colour grade of D and it is both internally and externally flawless making it one of the rarest of diamonds in existance. De-Beers built a special cutting room that minimised mechanical vibrations, temperature variations and other factors that might interfere with cutting the diamond. It took a highly specialised team 154 days to cut the diamond into an egg shaped gem of 500 carats approximately. They then presented the board of directors with 13 different possible designs recommending a heart shape. The team finally finished cutting the diamond in 1991 giving the world the Centenary diamond. The Taylor Burton diamond started life as a rough diamond of 241 carats which was discovered at the Premier Diamond mine in 1966. 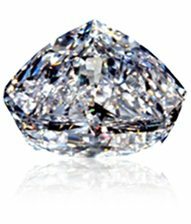 The rough stone was sold by De Beers to New York diamond broker Harry Winston who had it cut into a 68 carat pear shaped white diamond. The stone was purchased from Winston in 1967 by socialite Harriet Annenberg Ames who was the sister of billionaire publishing magnate Walter Annenberg. She was only to hold on to the diamond for a short time, putting it up for auction in 1969 sje said that she felt the stone was too big to wear out in public and she was becoming paranoid that someone would try to steal it from her. On hearing that the famous diamond was going to be auctioned actress Elizabeth Taylor had the stone flown to Gstaad in Switzerland for a viewing. When it came time for the auction Taylor’s husband Richard Burton had several different people in the room and on the phone bidding for the diamond to ensure that he won it. It was not to be however, as Burton had set a maximum limit of $1,000,000, he lost out to the Cartier Jewellery house who payed $1,050,000 for it. Burton was enraged that he didn’t win the diamond at auction and vowed to get the stone even if he had to pay $2,000,000 for it. He negotiated with Cartier for a tense 48 hours but in the end was able to secure the stone for his wife for $1.1 million. Taylor subsequently had the diamond placed in a necklace as she felt it was too large to wear as a ring. In later years Taylor and Burton were to divorce twice and after their second split Taylor sold the diamond to New York Jeweller Harry Lambert for an estimated $5 million in 1978. Lambert sold the diamond again in 1979 to Robert Mouawad of Mouawad Jewellers who has retained ownership ever since. Discovered in 1985 again at the Premier mine in South Africa and at 545.67 carats the Golden Jubilee diamond in the biggest cut and faceted diamond in the world outweighing the Cullinan 1 diamond by over 15 carats. 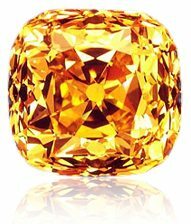 When photographed the diamond appears as a gold to orange colour however, it has been graded as a fancy yellow-brown stone. It was considered to be a very ugly diamond before being cut however, once it was given it’s unique fire rose cushion cut it transformed the stone into one of the worlds most spectacular diamonds. It was cut by De-Beers master diamond cutter Gabriel Tolkowsky in order to test the room that they had built especially to cut the centenary diamond. It took Tolkowsky over two years to transform the ugly rough stone into the spectacularly beautiful diamond that it remains to this day. Purchased 10 years after it’s discovery in 1995 by a group led by Henry Ho of Thailand the diamond was brought to religious leaders around the world to receive a blessing including Pope John Paul the 2nd, the supreme Imam as well as the supreme Buddhist patriarch in Thailand. The diamond was then presented to King Bhumibol Adulyadej of Thailand in honour of his 50th coronation anniversary. Found in 1698 by an unknown slave in the Kollur mine in India the uncut rough stone was a spectacular 410 carats in weight. It was bought in 1701 by Thomas Pitt who was then governor of Madras (now Chennai) for 48,000 pagodas (approx £20,400 at the time). It was brought back to England in 1702 by Pitt’s eldest son it took a jeweller by the name of Harris two years to transform the rough diamond into a 141 carat cushion brilliant. He was able to produce several smaller stones from the rough diamond as well and these were sold to Peter the Great in Russia. The newely cut stone was offered for sale to various European Royals however, interestingly enough no one seemed that interested in purchasing it. in 1711 Pitt and his two sons brought the diamond to Calais in France where they sold it to the French Regent Phillippe 2nd Duke of Orleans. Once acquired by the crown the stone came to be known as “Le Regent” or “The Regent” and was held as part of the crown jewels of France.